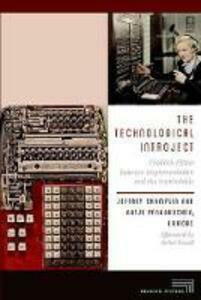 The Technological Introject explores the futures opened up across the humanities and social sciences by the influential media theorist Friedrich Kittler. Joining the German tradition of media studies and systems theory to the Franco-American theoretical tradition marked by poststructuralism, Kittler's work has redrawn the boundaries of disciplines and of scholarly traditions. The contributors position Kittler in relation to Marshall McLuhan, Jacques Derrida, discourse analysis, film theory, and psychoanalysis. Ultimately, the book shows the continuing relevance of the often uncomfortable questions Kittler opened up about the cultural production and its technological entanglements.